We were going to say “It’s not all fun and games at The School of Curiosity ‘End of Summer School’”. But thinking about it every session looks like it will be fun and enthralling, so we’ve had to think hard how we can make our evening social events fit the bill. Maria, who runs The Villefranche Petanque and Social Club (a bit like The Buena Vista Social Club but with boules instead of musical instruments) has invited us over one night. She’s putting on sangria and the Nicoise specialty of Pissaladiere. We’ll have an international petanque tournament in between drinks. 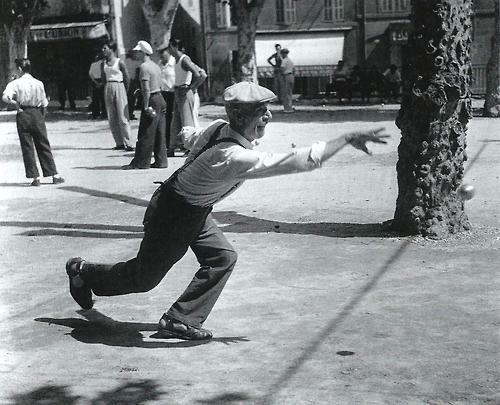 The great thing about petanque is that it takes moments to learn, it’s a team game and everyone somehow seems to be capable of producing a world class shot at least once. By the end of the night, you have a social club full of friends. There are just ten tickets left. There wont be for long. Download the prospectus here. Or just go directly to the booking page here. It doesn’t matter what language you speak, petanque is so simple we know you’ll love to parlez-vous petanque.